Mr. Yuan has worked for Shanghai Industrial Pharmaceutical Group and Shanghai Renji Medical Management Group. 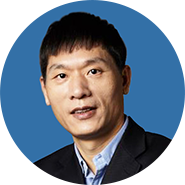 He has established Jianxin Capital since 2010. Mr. Yuan has nearly 20 years of investment experience in the Chinese pharmaceutical industry and has managed investments and M&A in biotech, IVD, medical device and vaccines. He has long-term observations of entrepreneurs in the industry and a deep understanding of their success traits and challenges in the country. He has strong resources and maintains long-term close relationships with leading entrepreneurs, R&D institutions and clinical institutions in the industry.